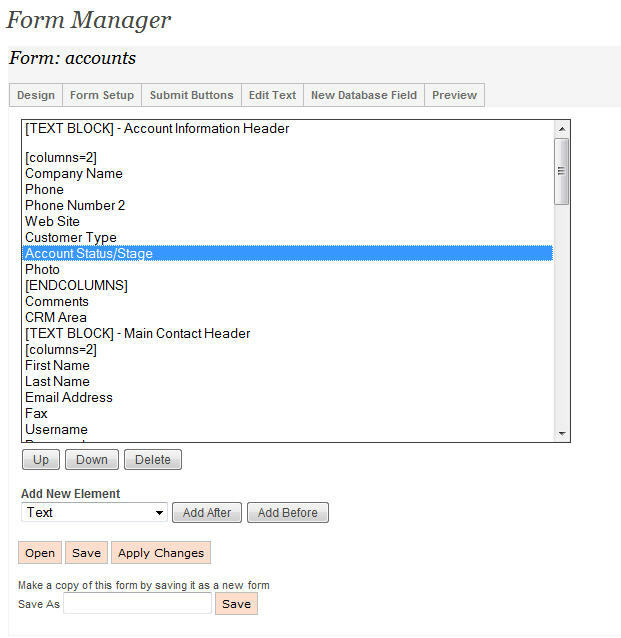 Most forms have drop down lists on them. Drop down list scan be managed in 2 ways. 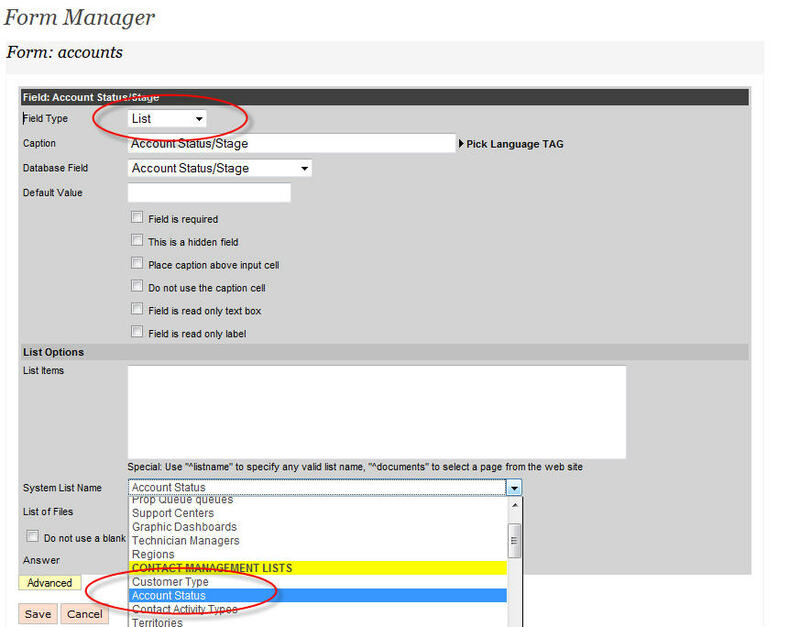 Access the desired form and double click on the field that has the list item. By default, rave7 comes with a vast number of lists for various areas of the system. It also allows you to create your own custom lists that you can reuse on many forms. The lists are grouped together by category, so all the contact management related list are in the "CONTACT MANAGER LISTS" section as per above. At the bottom of the list are special list used for countries, states, provinces etc.